It is vital to get your child diagnosed and receive the necessary help. I can only imagine what my mother was going through, having to watch me entertain irrational beliefs which felt very rational to me. She had to witness me partaking in bizarre compulsions, which most people would call rituals, as soon as everybody in the house had gone to bed – behaviours I felt very strongly about. Growing up unable to put a name on the “odd behaviour”, as my family used to refer to it, led me to believe that there was nothing really wrong with me, that I was simply more cautious than everyone else – until I learned that I have Obsessive Compulsive Disorder (OCD). For most parents trying to figure out why their child has trouble concentrating on schoolwork or enjoying activities, why they feel and act irritable, sad or anxious, or have trouble deciding or choosing, or take much too long to do everyday tasks like getting dressed, organising a backpack or taking a shower, OCD might not even be a thought. It is not easy dealing with a child who gets upset and loses their temper despite having done something perfectly, or who insists that a parent does or says something an exact way. Obsessive-Compulsive Disorder (OCD) is a condition that causes children to have unwanted thoughts, fears, and feelings, and these are referred to as obsessions. These thoughts leave you feeling restless, with a need to relieve the anxiety caused by the obsessions, which then forces children into behaviours called compulsions (rituals). Obsessions are fears that kids with OCD can’t stop thinking about. As a child you may realise your feelings are illogical, but you still feel restless about certain things. For me, the obsessions were based on fears that I or someone in my family were going to get attacked, hurt, or die, whether something is straight enough, or placed in an exact way or is lucky or unlucky, bad or good, safe or harmful. The child obsesses over a “bad thought” or “mistake”, whether they have broken a rule, or sinned or whether something is clean or germ-filled. Compulsions, on the other hand, are behaviours that children with OCD perform repetitively. The disorder makes them feel they have to perform “rituals” to ensure that they are safe, so that things remain clean or in order, and they believe that these compulsions stop bad things from taking place. After everybody went to bed in my home, it was my chance to do my rituals of checking if the doors were all locked, despite seeing my father locking them; making sure that all the plugs were switched off and unplugged, checking if all the windows in the house were closed and checking if there was nothing under my bed or my family members’ beds; or touching or tapping doors a number of times. These were rituals I believed I hid well from everyone, to avoid being teased and deemed mentally ill. But I was a disturbance to people’s sleep, and soon my mother sought psychological help and got a diagnosis. Kids can partake in a variety of rituals to ease their anxiety, such as washing and cleaning, re-writing, re-doing, or re-reading, repeating a word, or phrase much more than needed, going in and out of doorways numerous times in a row, having things in a precise order, and counting to a certain “good” number, or avoiding “unlucky” numbers. 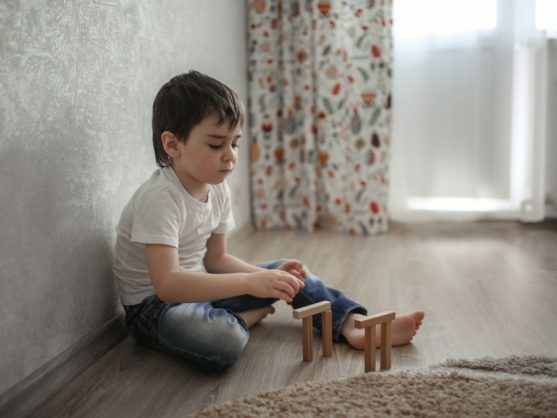 While it is still not clear why people get the disorder, scientists believe that biological factors play a role – children may get OCD because it’s in their genes. But it should be stressed that it’s not the child’s or parent’s fault. In my case, with the disorder showing itself in my teens, a psychologist revealed to me that a traumatic experience might have triggered it. Because children often feel embarrassed, with some not knowing why they have certain fears, some like myself, may try to hide their rituals but still remain incapable of stopping the obsessions from troubling them. Getting your child diagnosed and receiving the necessary help is the first step. It’s important to meet with a psychologist who will have a conversation with you and your child to get more information. The psychologist can treat OCD with cognitive behavioural therapy – where a child gets to learn about OCD and starts to know it in detail, and acquires ways to face fears and fight against lapsing into ritualistic behaviour. OCD can also be treated with medicine. There is always something you as a parent can do. Parents can learn more about the disorder and allow their child to talk openly about it without declaring them crazy. Parents shouldn’t simply tell the child to stop ritualistic behaviour. Rather assist your child to express their OCD by giving it a name. It’s vital to be aware that compulsions can’t stop overnight. It is furthermore important to be on the lookout for irrational behaviour. Usually when one type of OCD behaviour has been removed, another form of the behaviour might crop up, hence the need to understand OCD as more than just the specific behaviour, but as a type of behaviour.